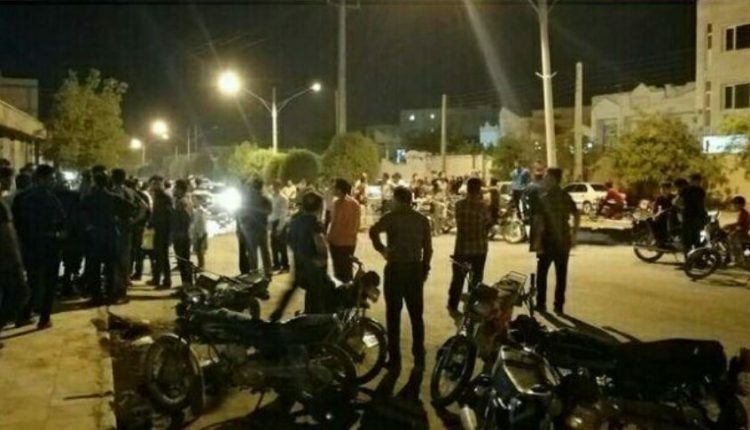 On March 27 and 29, in addition to the protests of thousands of Ahvaz people against the offensive programs of the state television, insulting fellow Arab compatriots, other cities of the country also witnessed protests from the desperate social strata against oppressive actions of the Iranian regime. 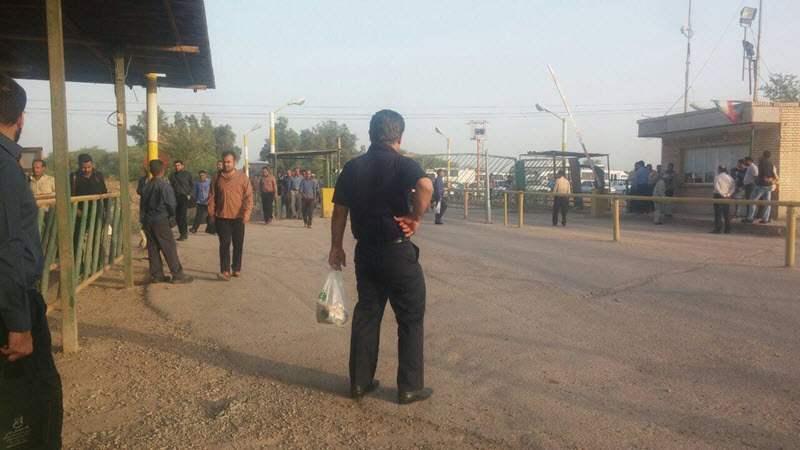 The Haft Tapeh sugar cane workers on March 28 gathered in the company’s premises continuing their previous day strike. 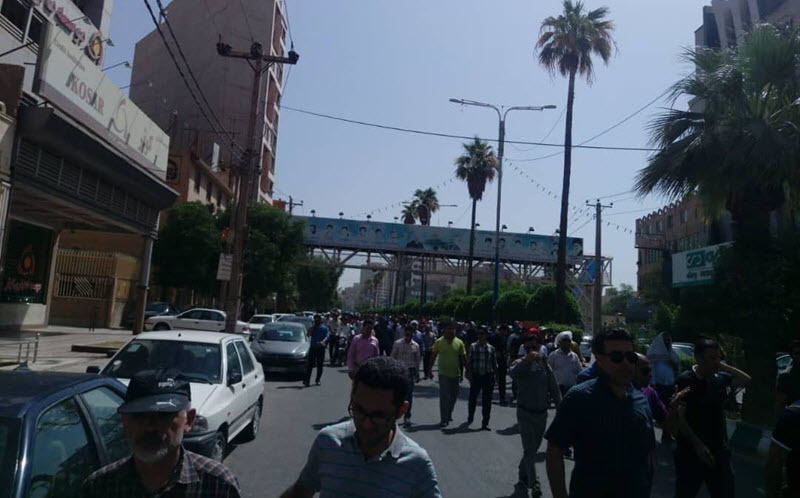 They held a banner reading “Year 2018, is the year of emptying the table of the workers of Haft Tapeh”, chanting “Worker of Haft Tapeh, we are hungry!” They marched toward the Andimeshk-Ahvaz transit road, and then moved toward the governorate with motorcycles and cars. The mercenaries clashed with the workers on their way and shot at them. 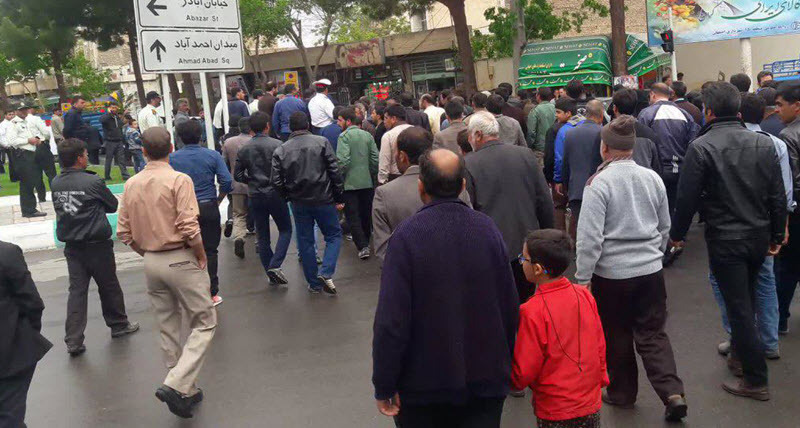 The new round of strike of the Haft Tapeh Sugar Cane workers has begun since March 27 following the announcement of factory closure by government-appointed and plunderer directors. – People in the village of Jodaneh gathered in protest against the serious water shortage problem in front of the governorate of Miami (in Semnan province). 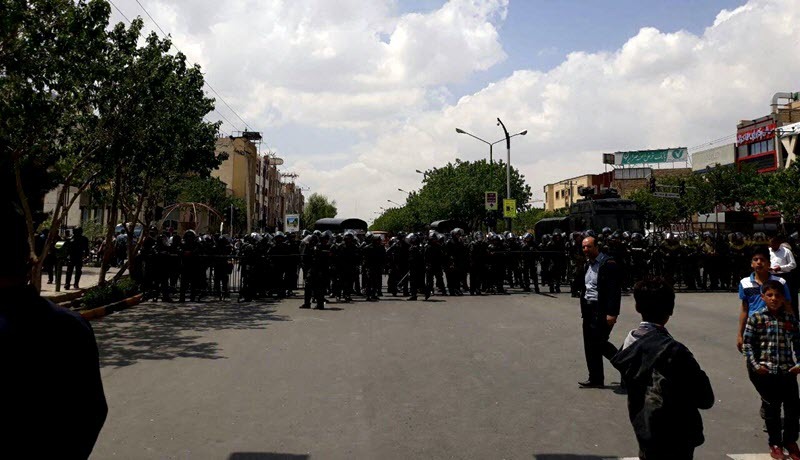 – Ziar farmers in Isfahan protesting the water crisis and the destruction of their agriculture lined up their tractors in protest and called for their water share. 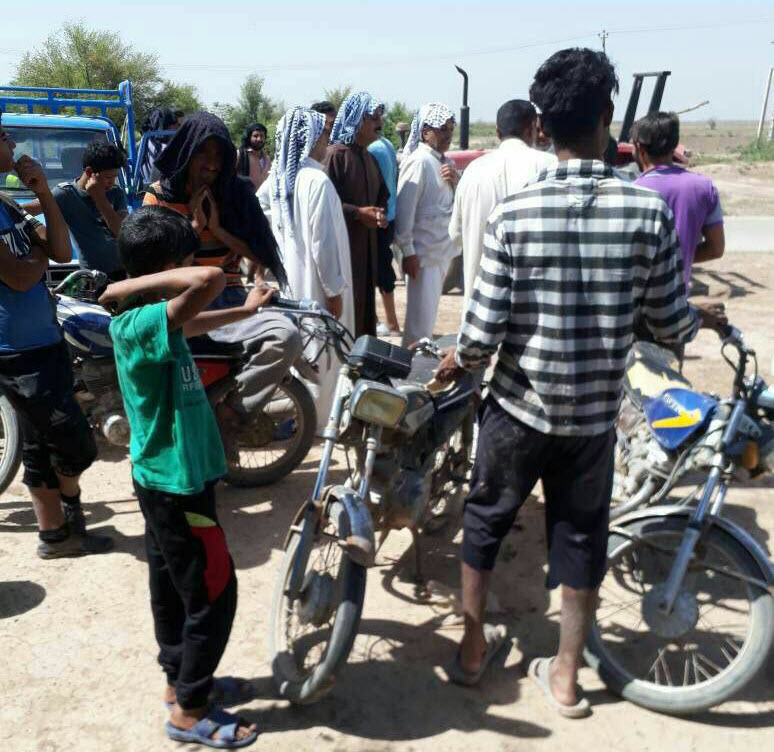 The farmers of Lenjan, Isfahan, gathered in front of the city’s governorate with their tractors, to protest water shortage. The people of the city of Faal in the south of Fars province gathered for the third time against the governorate of the city, protested the construction of a gas pipeline on the natural lands of the area, and called for the pipeline to be redirected. 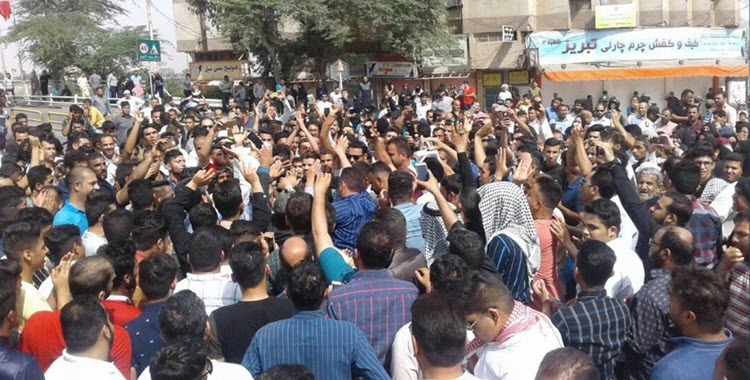 People in the Zoviyeh district of Ahvaz were confronted for the second day with agents who had rushed to the neighborhood to demolish their homes and threw stones at them. On March 27, the fired staff of the Ahvaz University of Medical Sciences gathered in front of the governorate of this city. The clerical regime has fired staff of the health centers in Izeh, Bawi, Hamidieh, Masjed Soleiman, Susangerd, Andimeshk, Ramhormoz, Ahvaz, Mahshahr and others.